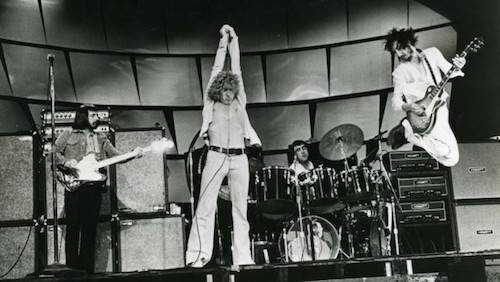 I recently won tickets to see The Who when they come to Indianapolis in May. Even with two members deceased and the living members in their 70s, I'm pretty excited. Still, I can't help but wonder how epic songs like "Baba O'Riley" and "Won't Get Fooled Again" will sound. I guess I'll find out and I think I'll enjoy the experience regardless. For now, I'm contenting myself with this excellent live version of the latter song from 1977. "Rock is dead they say. Long live rock!"